Union Endicott High School High School / Public 6 1.83 mi. All Saints School * Pre-School, Elementary School / Private N/A 1.66 mi. Ann G Mcguinness Elementar School * Elementary School / Public 3 0.32 mi. Charles F Johnson Jr Elementary School * Elementary School / Public 4 1.28 mi. Linnaeus W West School * Elementary School, Middle School, High School / Public N/A 0.39 mi. Jennie F Snapp Middle School * Middle School / Public 5 1.4 mi. 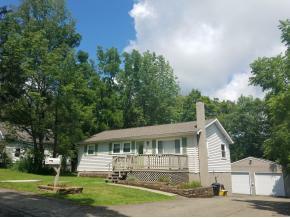 810 Wallace Street, Endicott, NY 13760 is a 3 bedroom, 1 bath single family home was sold for $100,000.